In our humble opinion, no one does fried food better than Southerners. 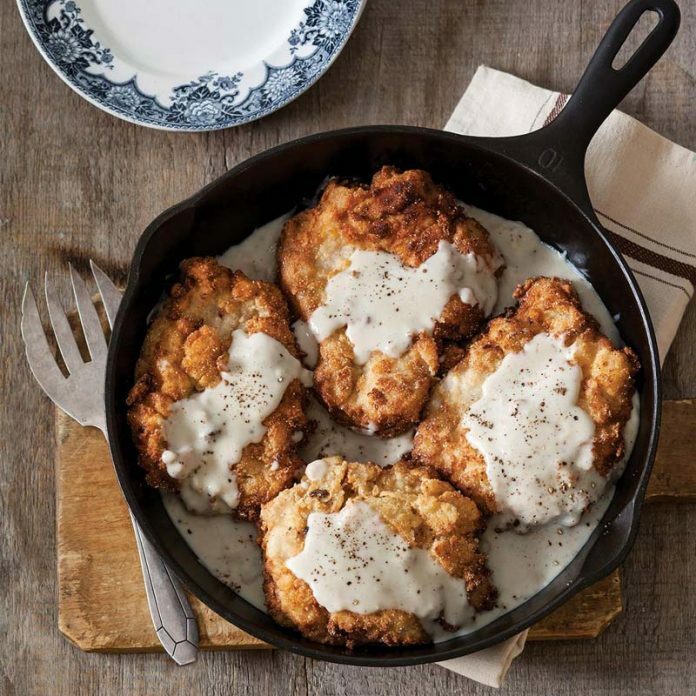 From pork chops and chicken to hushpuppies and green tomatoes, these recipes will satisfy all of your crispy, crunchy cravings. 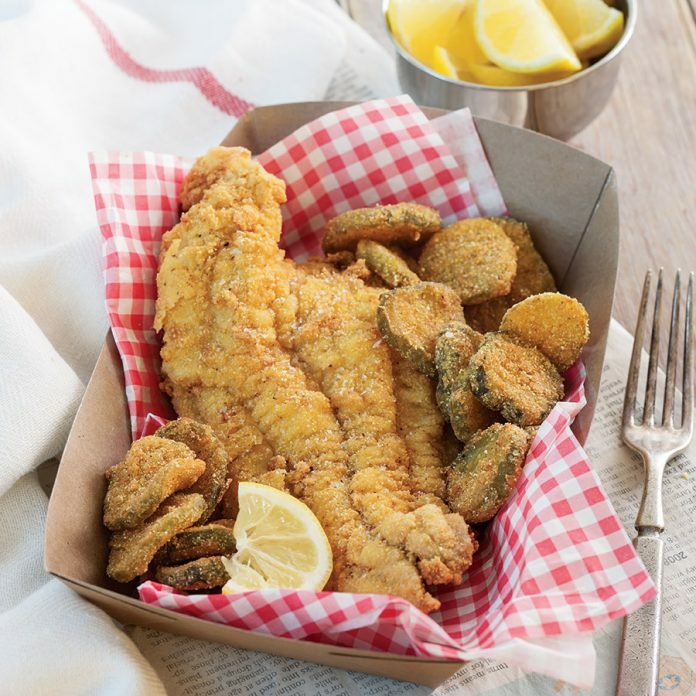 This classic Southern-Fried Catfish, dipped in buttermilk and battered in seasoned yellow cornmeal, is a delicious and authentic Southern supper. 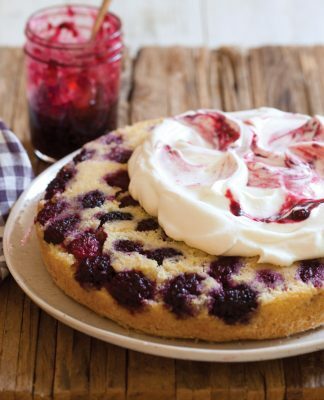 You had us at honey drizzled. 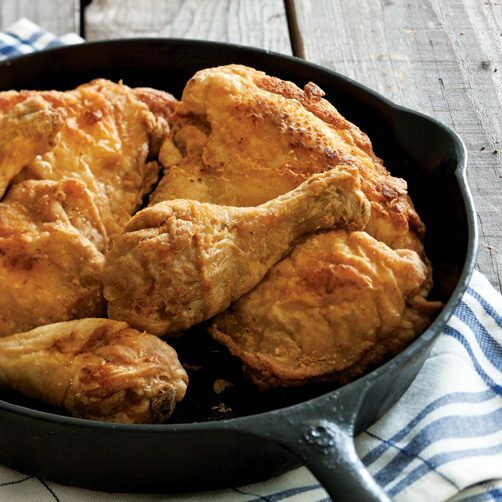 Lemon marinated Fried Chicken? Yes, please! 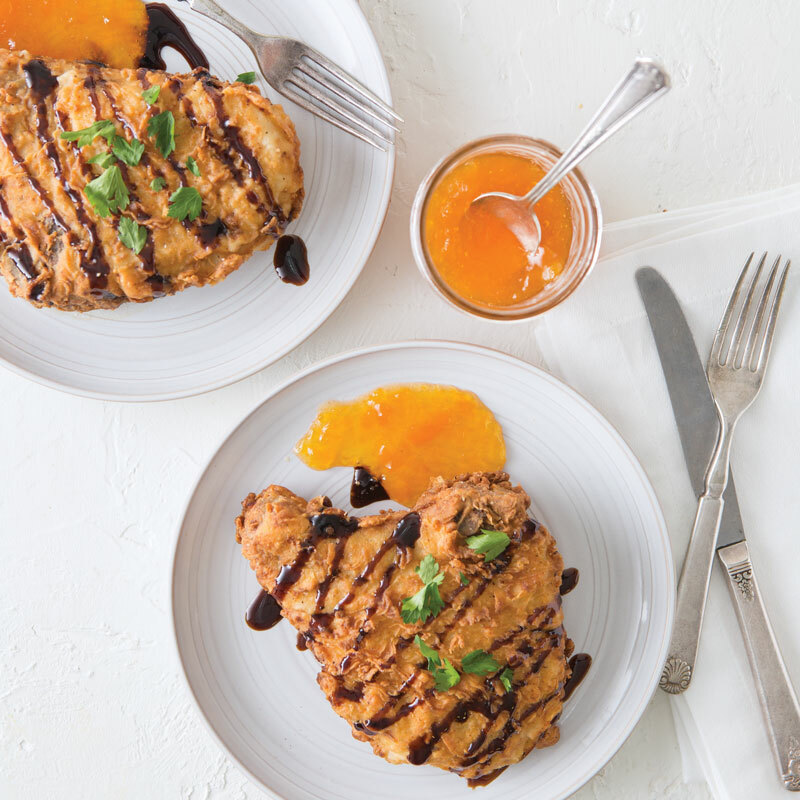 The tangy glaze and sweet preserves lighten the flavor of this crunchy, comforting dish. 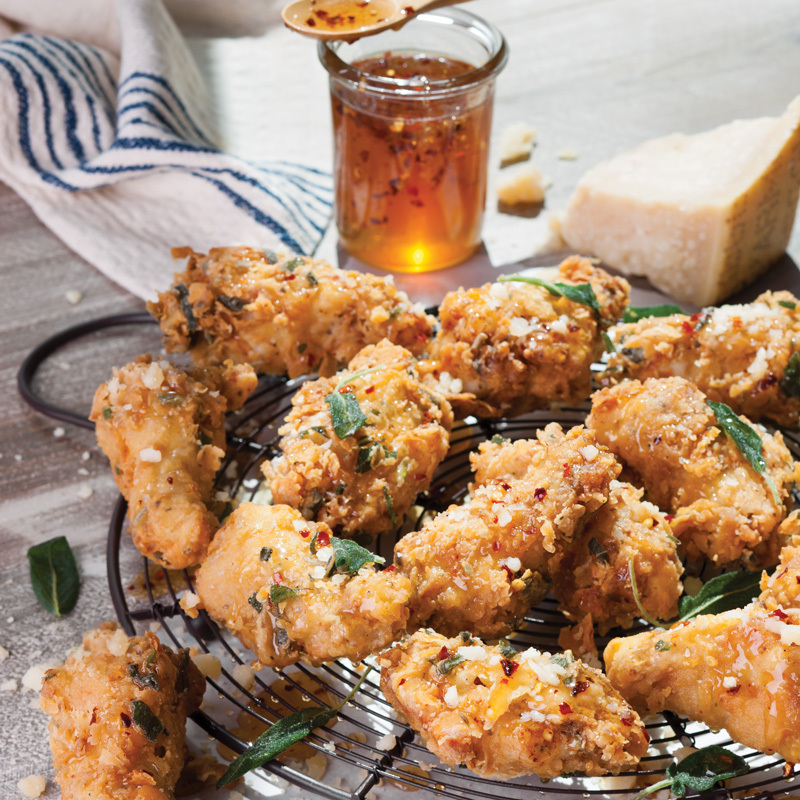 Panko gives these tangy green beauties an unbeatable crispy crust. 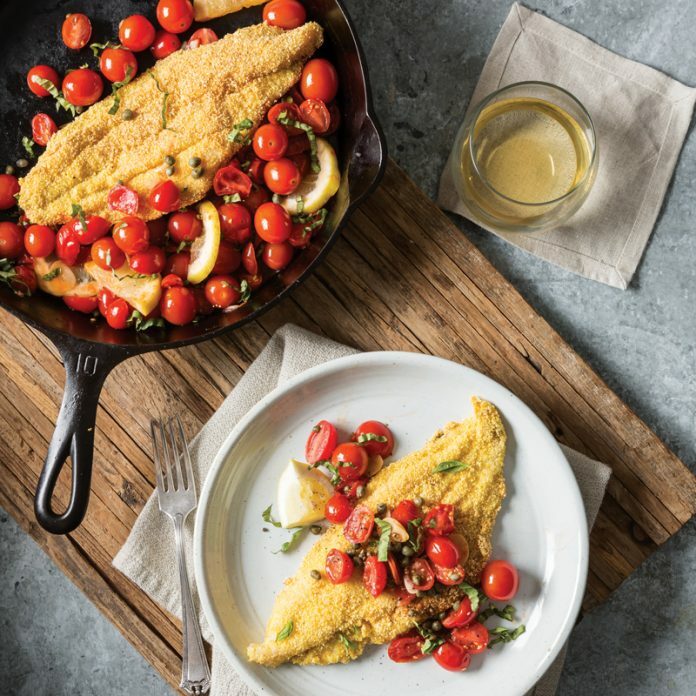 Cornmeal adds the perfect crunch to this classic fried catfish. 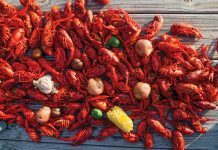 Nothing can beat a fried sweet down South. 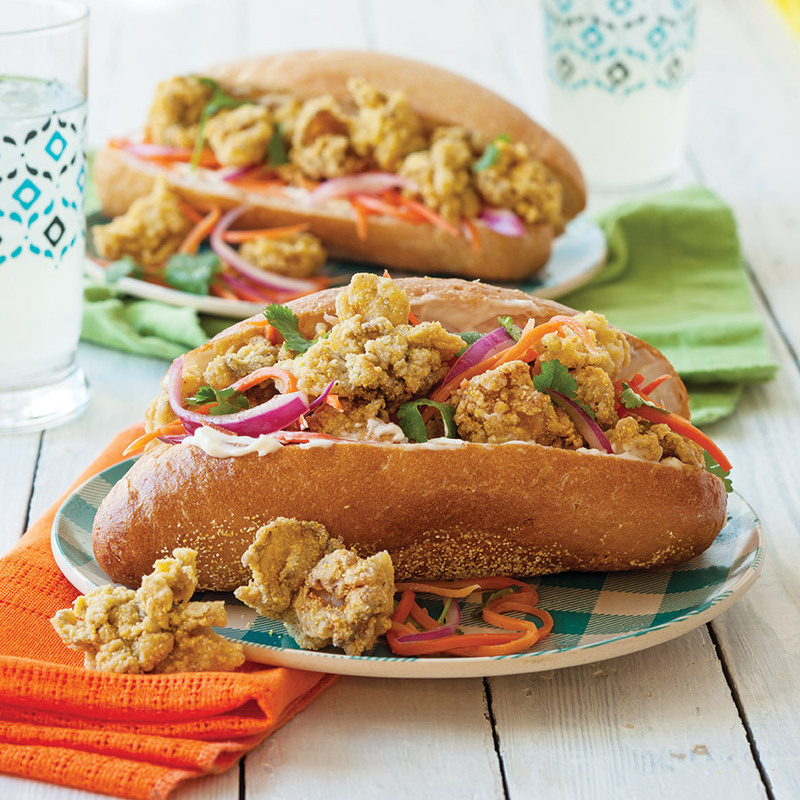 Lightly coated in a crispy cornmeal crust, fried oysters shine in these classic po’ boys. 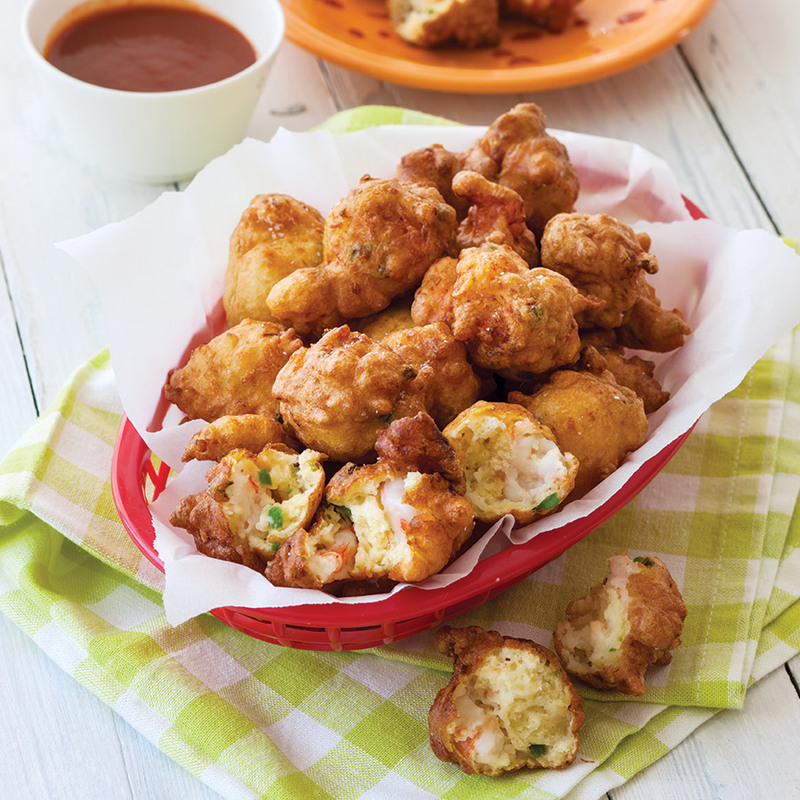 Deliciously fluffy, these fritters are the perfect addition to your summer plate. 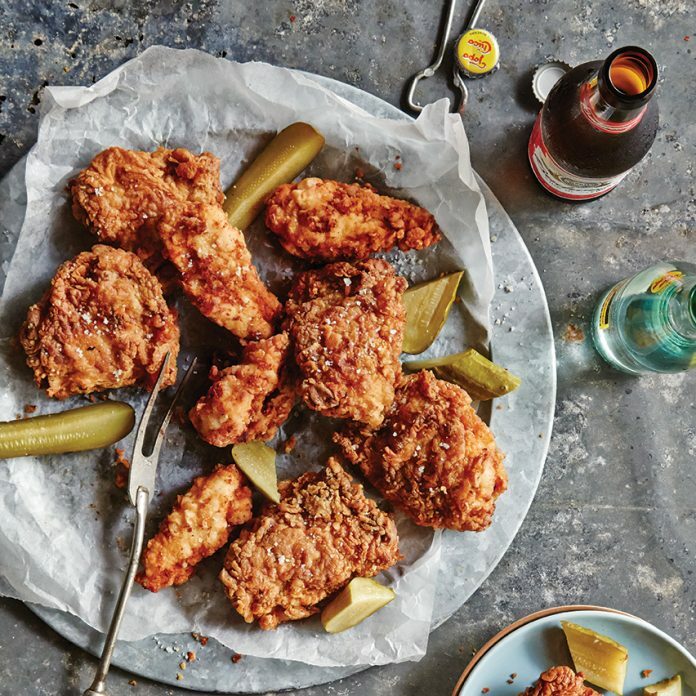 Inspired by the Nashville classic, you won’t be able to stop eating this addictively spicy fried chicken. 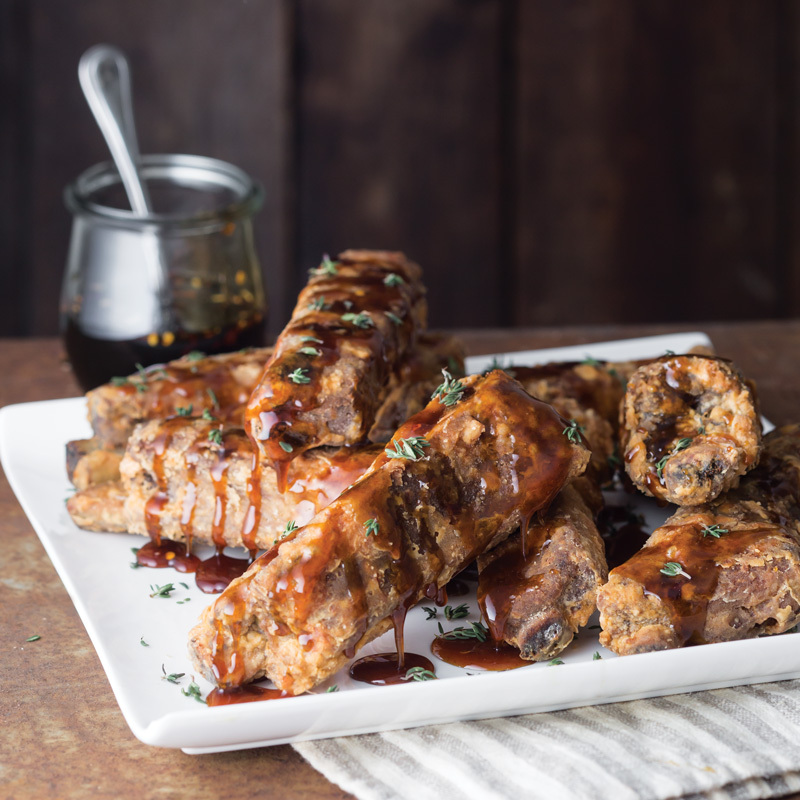 Fried until crispy, piled high, and drizzled with spicy cane syrup, these ribs were our tasters’ favorite. Not your typical Brit’s fish and chips: Our version calls for fresh red snapper and Southern sweet potatoes. 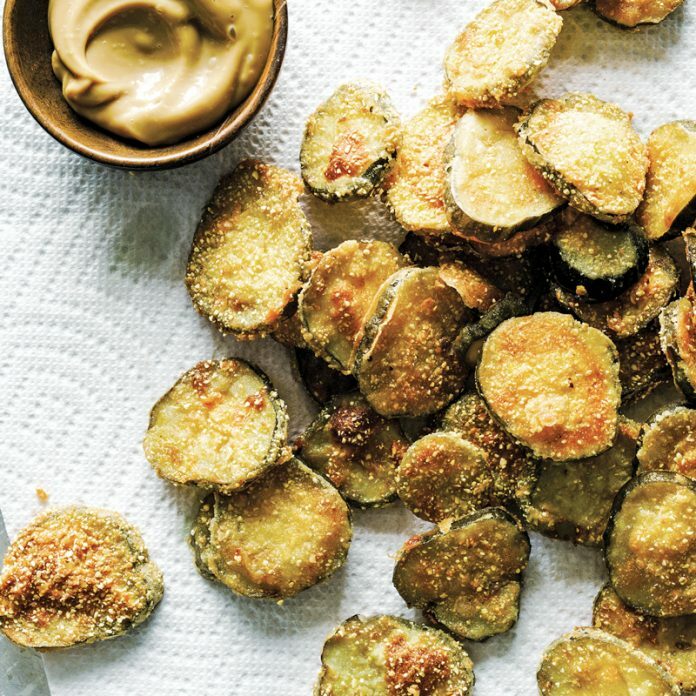 If you have never pickle-brined your savory fried treats then this recipe is for you! 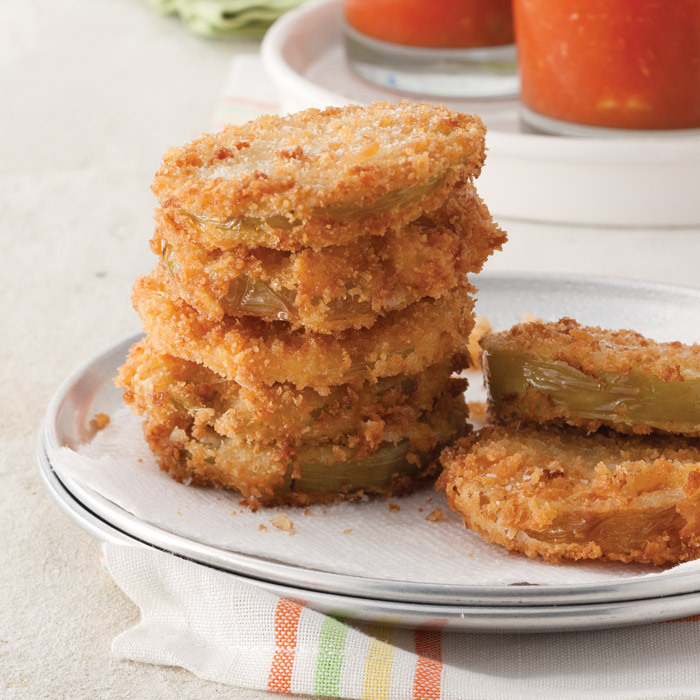 There is nothing more Southern than a plate of fried pickles. 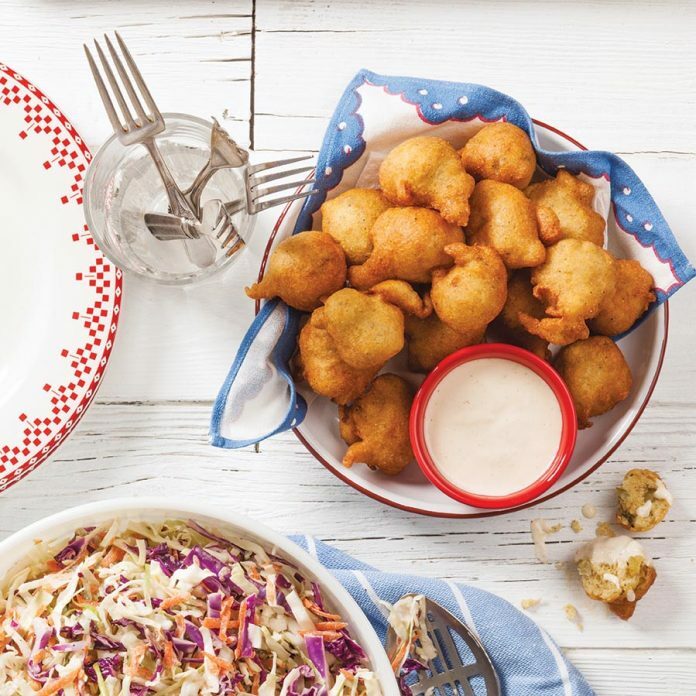 Flecks of spicy pickles stud these perfectly fried hush puppies. 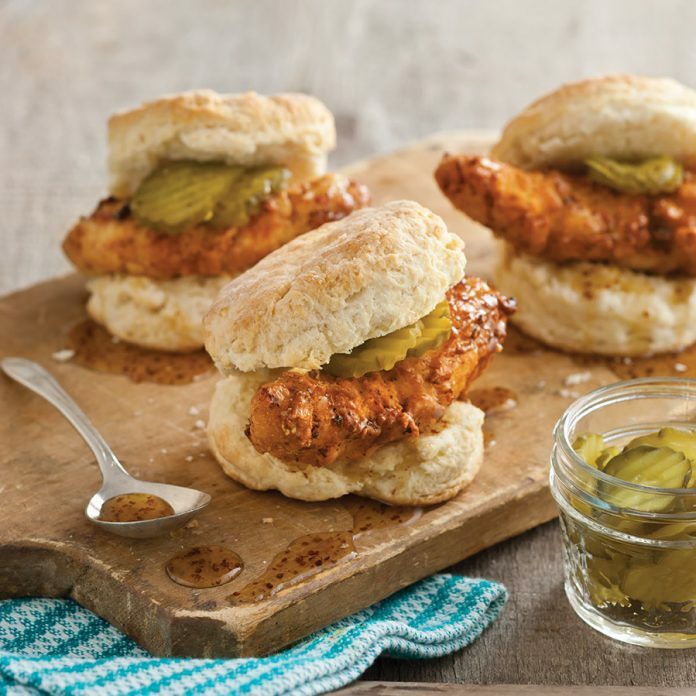 Brining boosts these flavor of this ultra-tender Pickle-Brined Chicken Tenders. What could be better than traditional pecan pie? Fried Pecan Pies, of course. 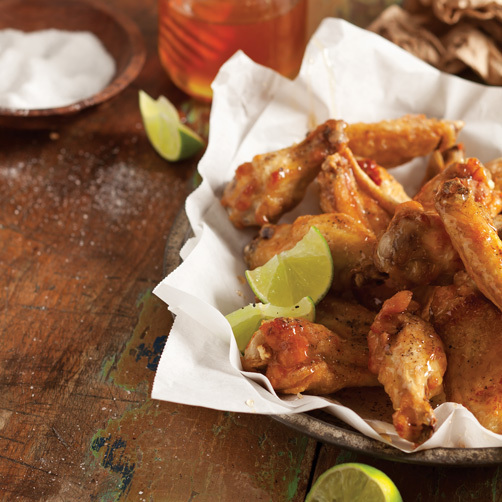 Meet your new favorite chicken wings. 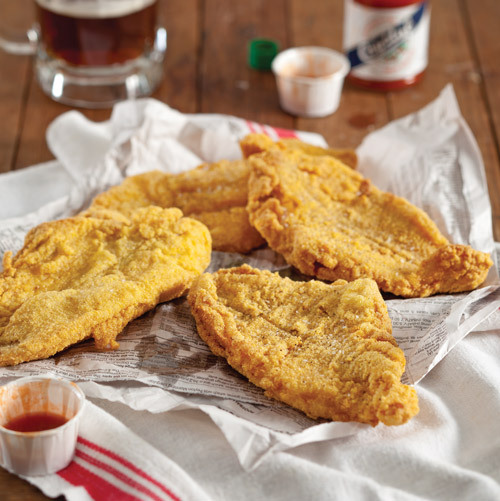 Our secret to extra crispy pan-fried catfish? 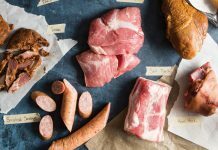 Bread the fillets with grits instead of cornmeal. 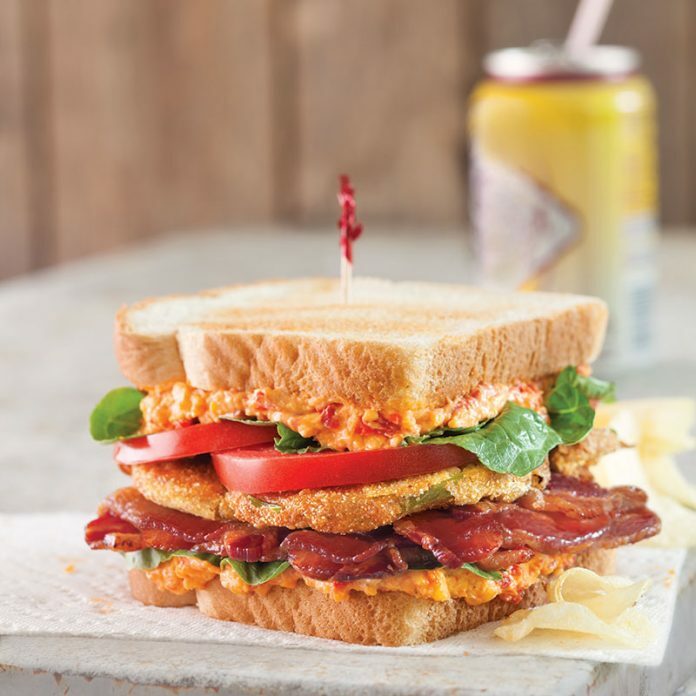 Fried green tomato, pimiento cheese, and bacon—there’s truly no combination more Southern. 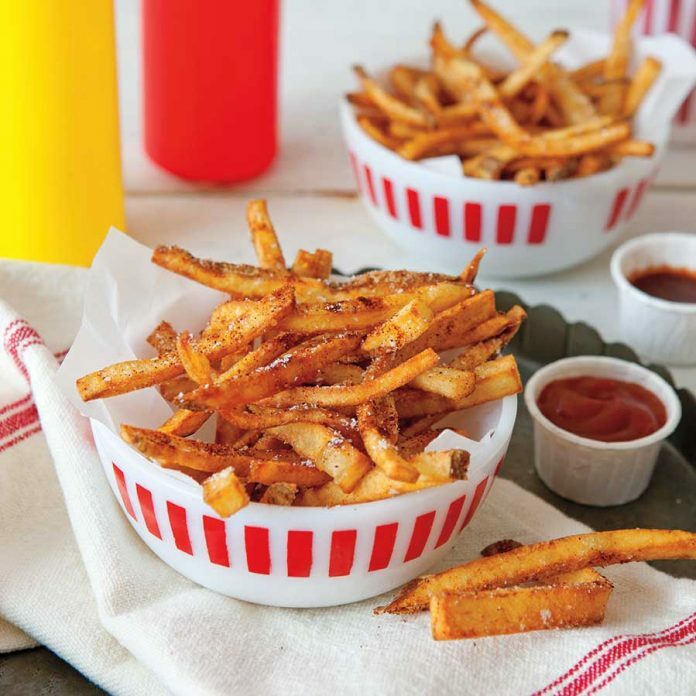 Double the frying means double the crunch. 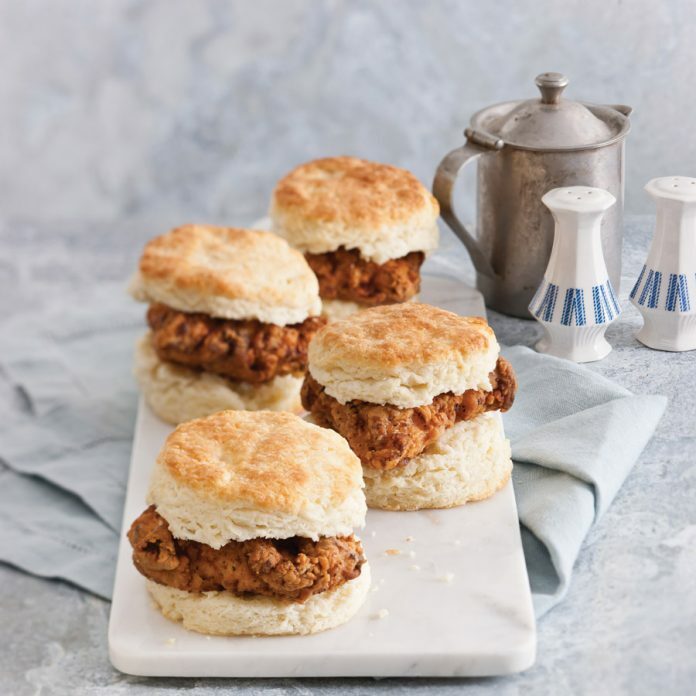 Crispy fried chicken tucked into fluffy biscuits is our favorite breakfast any day of the week. 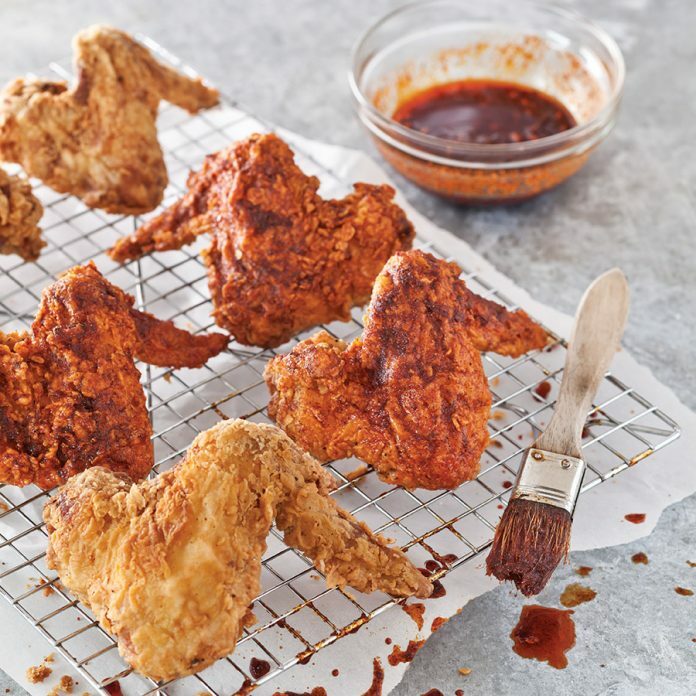 This lighter version of fried chicken starts with super-thin pieces of chicken, which allows you to get a crunchy crust with much less oil. 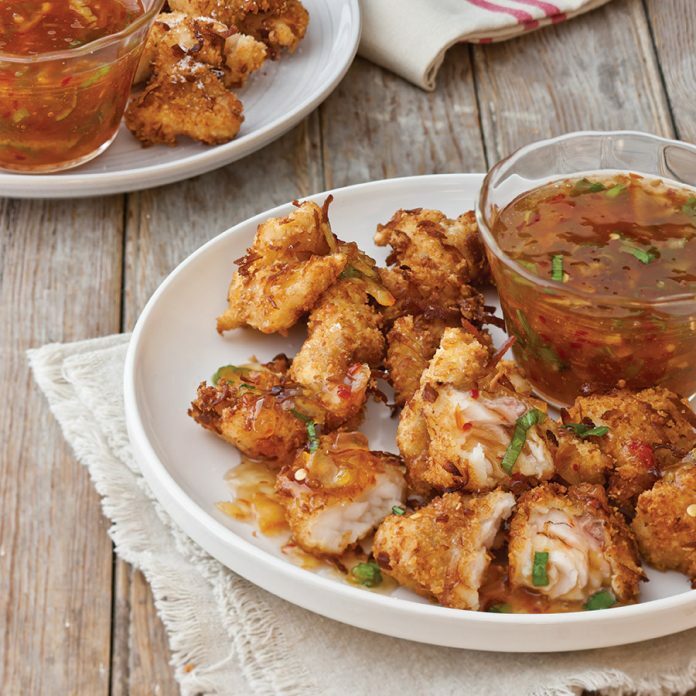 We love the sweet crunch that coconut gives these bite-sized pieces of fried catfish. 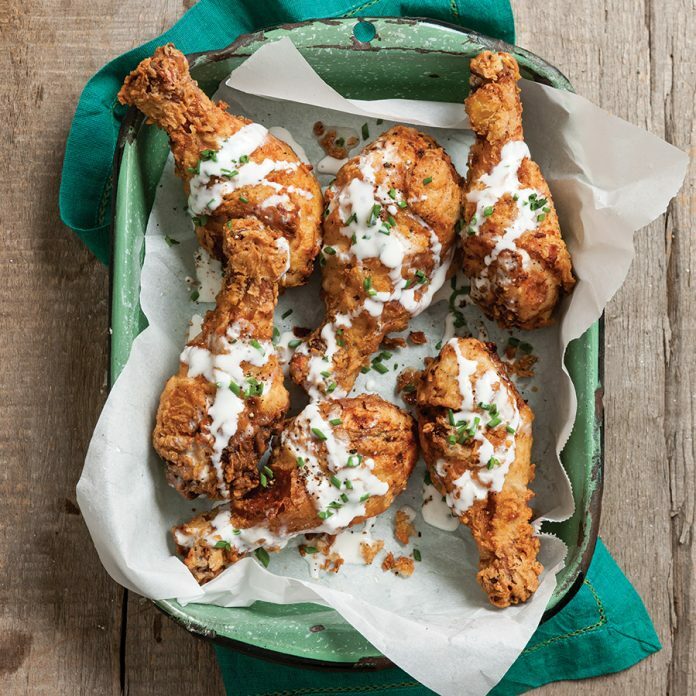 Super easy and extra crispy, these Ranch-Fried Chicken Drumsticks will have you craving more. 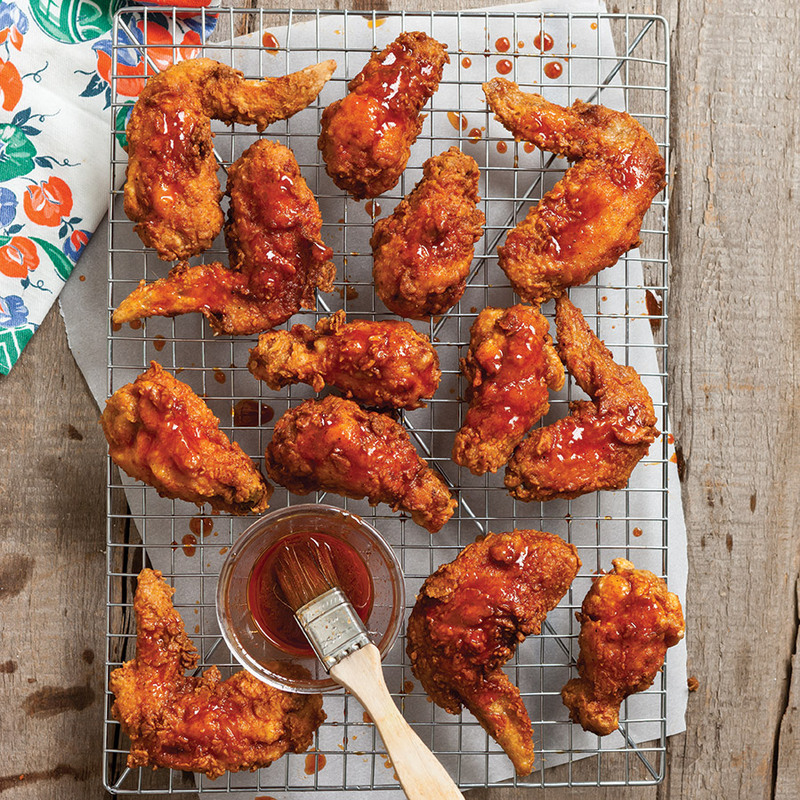 Use more or less hot sauce to control how much heat you want these Nashville-Style Hot Fried Chicken Wings to have. 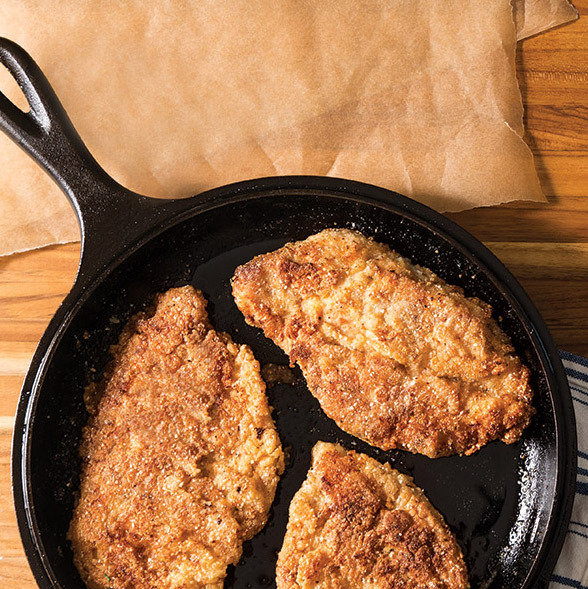 Our favorite way to enjoy pork chops remains frying them to perfection in a cast-iron skillet. 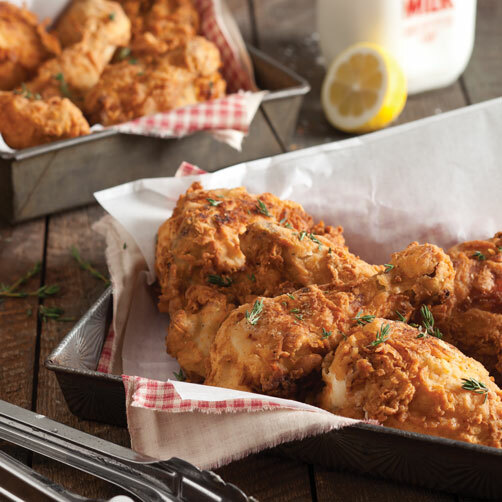 Coated in a crispy cornmeal crust, classic meets delicious after smothering in milk gravy.